This 3-in-1 tool is the perfect solution for quick meal prep. 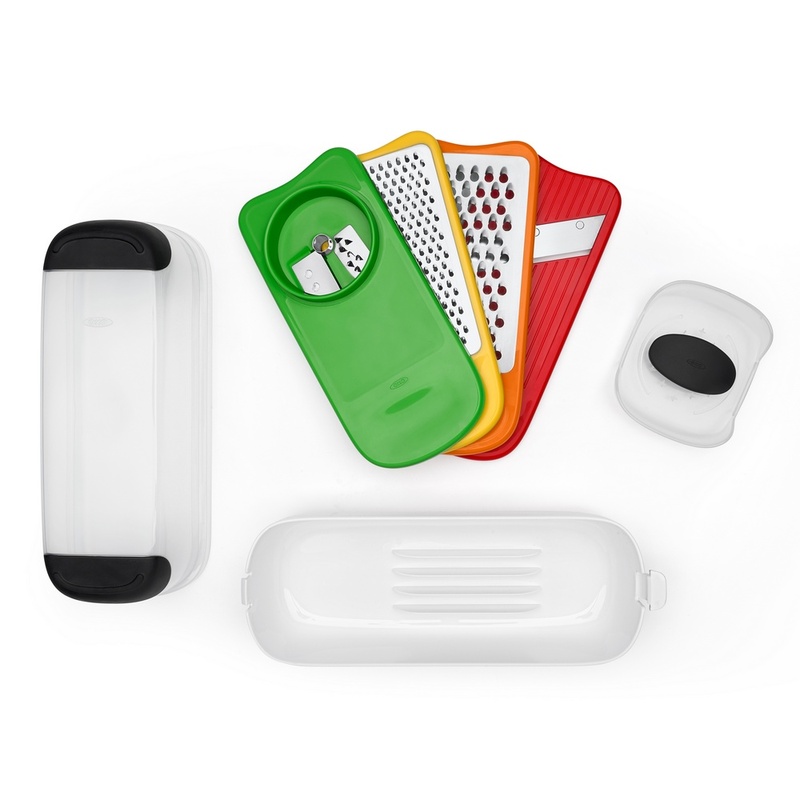 With three blades, you can do almost any kitchen task without having to dirty an arsenal of kitchen tools. 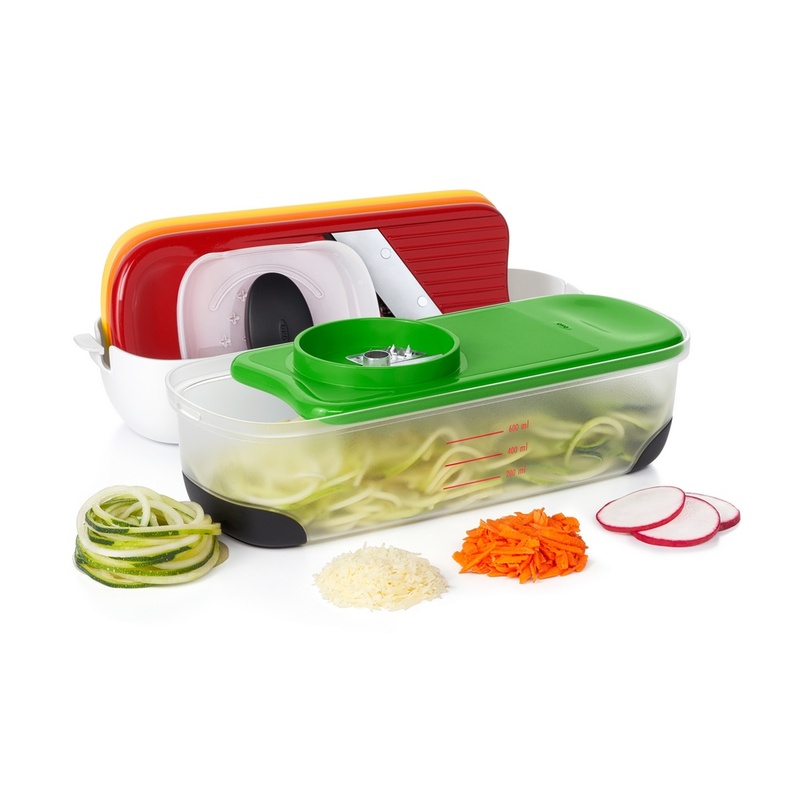 The Spiralizer creates uniform vegetable noodles out of zucchini, carrots and more, the slicer yields uniform slices of fruits and veggies, the medium grater makes fluffy shavings of hard cheeses and chocolate, and the coarse grater is perfect for semi-soft cheese, butter, onions and more. 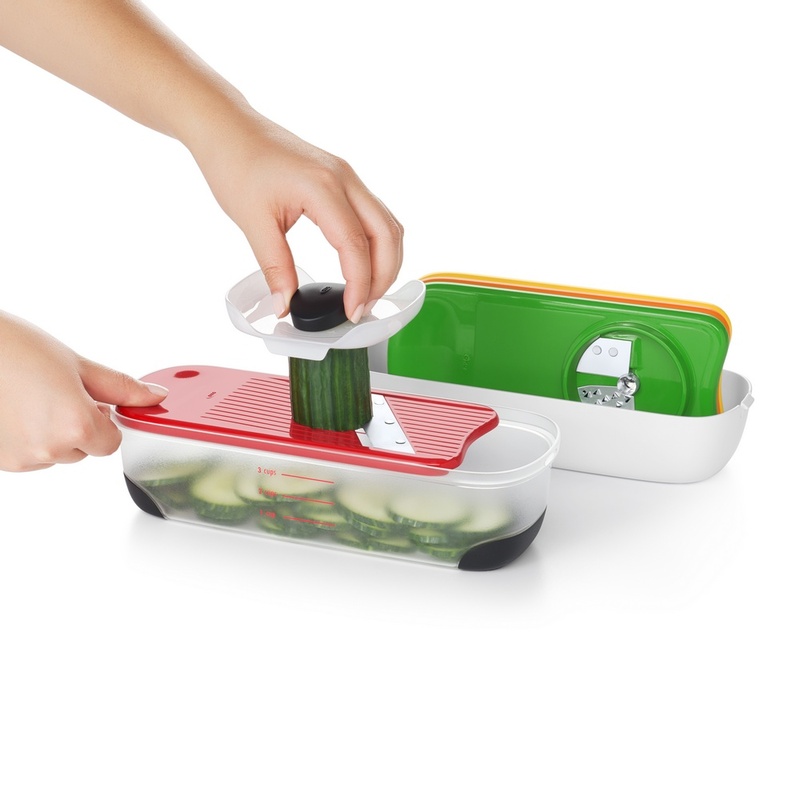 The non-slip feet keep the container steady and the food holder protects your hand while slicing. 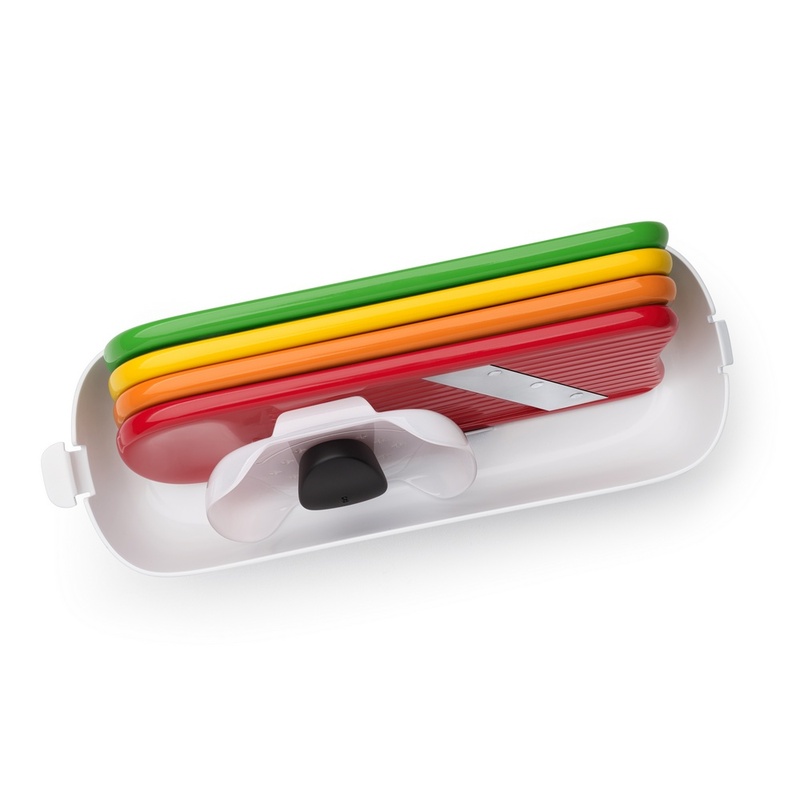 The container measures and collects food, and doubles as a lid when storing the blades neatly inside the Set.